No more noise from jingling metal or plastic dog tags. These silicone dog tags are flexible, durable, fade-proof, and silent. 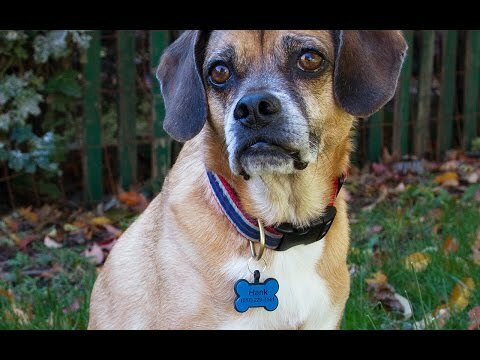 Inspired by his scratch-happy rescue dog, Founder Michael Lickstein created a noiseless tag that you can have custom engraved. Dimensions: 1.5” x 1.25” x 0.25"
Well made and easy to read. Quite and my Bella loves it. Having identification tags on your pet’s collar is always a good idea, but, boy, can they be noisy. SiliDog tags are durable, fade-proof, and best of all, silent. When Founder Michael Lickstein adopted a rescue, the poor pooch had fleas and just couldn’t stop scratching. The incessant tag jingling kept Michael up all night, so he came up with a noise-free solution—silicone pet tags. These adorable 3-D IDs are flexible, tough, and jingle-free. Even if your dog doesn’t scratch much, you’ve probably noticed how those metal tags clank against the water bowl and rattle during walks. That’s all in the past. 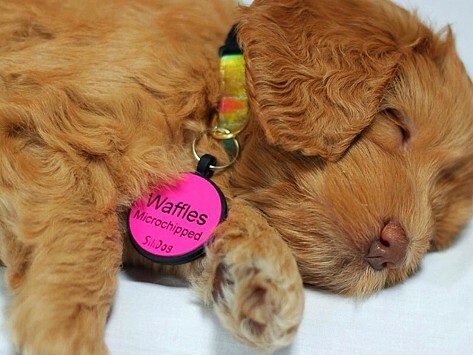 Custom-engravable, SiliDog tags also have personality. The silicone shapes are fun and playful—which is appropriate for your furry best friend.